More and more studies show clear evidence that young people lack the necessary skills to secure employment or become entrepreneurs themselves. By now we have been talking about the skills gap for quite a long time and calling businesses for action, to get involved and contribute to minimising this gap – Barclays has answered that call and partnered with JA Europe to guide the next generation on the path to success, entrepreneurship, and employability. By joining forces in 6 European countries, Barclays and JA Europe are creating unique opportunities for 15,000 disadvantaged students to gain skills, competences and experiences that will make them more competitive and confident in their future career. This programme matches perfectly with Barclays’ project ‘5 Million Young Futures’. At Barclays, we want to help the next generation achieve their ambitions. We believe there is no better start on the path to success than having access to enterprise, employability and financial skills. We are meeting this objective by the end of this year thanks to extraordinary programmes as ‘Young Ambitions’. We feel that the programme JA Europe is running embodies perfectly a practical approach with the theoretical information students get in the classroom and we are proud to support with hands-on Barclays volunteers that come in and share their experience, guide the students and mentor them through the process. The Entrepreneurial Skills Pass (ESP), which comes at the end of their experience will then certify the skills and knowledge these students acquired through their experience. Together with other companies from different industries, we are supporting the students who hold the ESP to access further opportunities like mentoring, training, internships, access to resources that will advance their small business and/or micro-financing opportunities. In 2014, 400 students were ‘challenged’ to come up with innovative solutions to the problem of economic growth in their national economies, for example through tourism or agriculture initiatives. In 2015 social entrepreneurship was the focus as students had to identify challenges in their communities and come up with solutions that would improve or solve them. 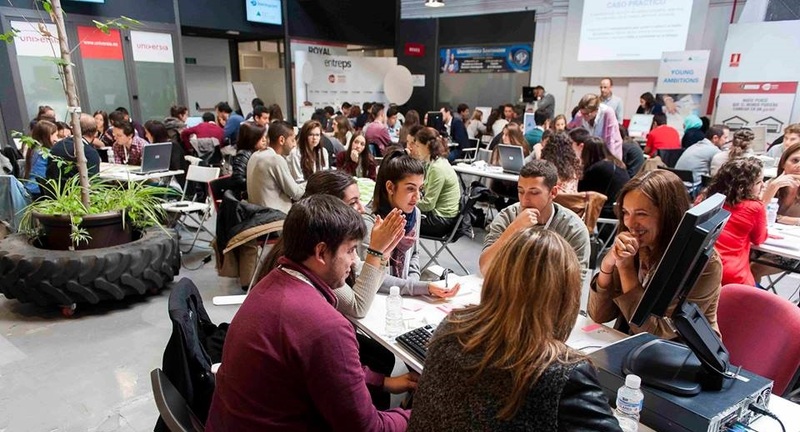 Already over 350 students accepted the challenge in Germany, Italy, Russia and Spain - with Portugal and France Innovation Camps coming up in the next months. 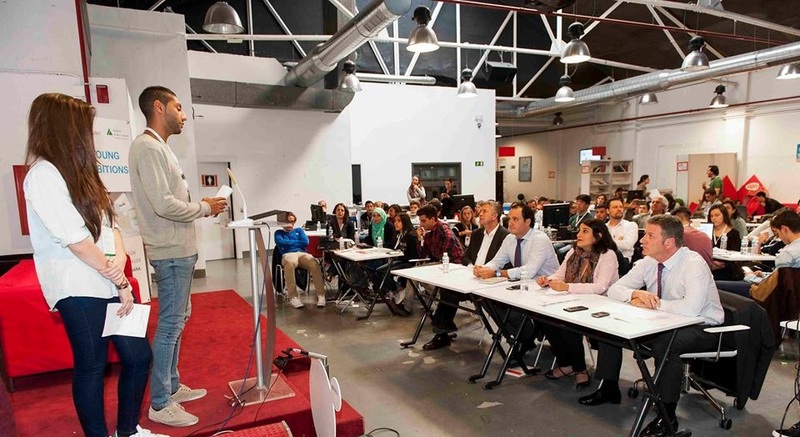 I was one of the members of the jury in last Innovation Camp, and also helped students create their companies. It was really amazing to see the potential of these young adults and witness how they develop their critic and creative thinking through these activities. The ideas they came up with as a solution to the challenge we presented them with were fantastic. I think it is our mission to support this great talent. This is the only way to have a better future and a more positive and committed next generation. We are proud to have the opportunity to actively and directly contribute to the education of the next generation. In a time where young people prepare for future jobs that do not exist yet it is very important to inspire them and facilitate their access to programmes similar to this that prepares them for the global challenges they will face as entrepreneurs or employees. Read more here about one of our volunteer's experience.